Today I had the opportunity to meet with a group of guys who call themselves the “Carolina Barnstormers.” These guys are all protagonists of “gyroplanes.” What is a gyroplane, you ask? According to the FAA, a gyroplane is “an aircraft that achieves lift by a free spinning rotor.” Therefore, a gyroplane has a rotor like a helicopter but the engine does not spin the rotor, it is free spinning. The gyroplane has an airplane-style propeller on the back of the aircraft that “pushes” the aircraft forward. In this manner, they are flown more similar to fixed-wing airplanes than helicopters. They are also MUCH cheaper to acquire and operate than helicopters but deliver many of the benefits of rotor-wing flight. 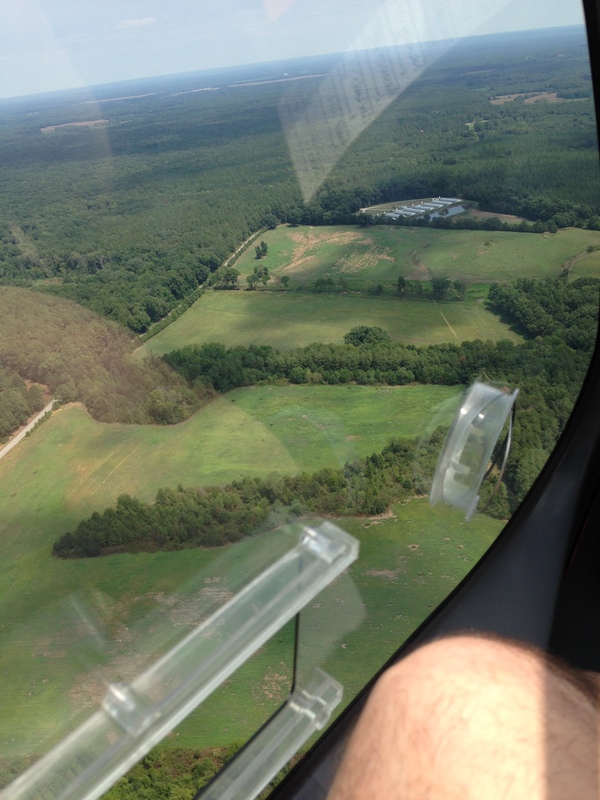 I was able to fly in an AutoGyro Cavalon, which is seen in the picture above. 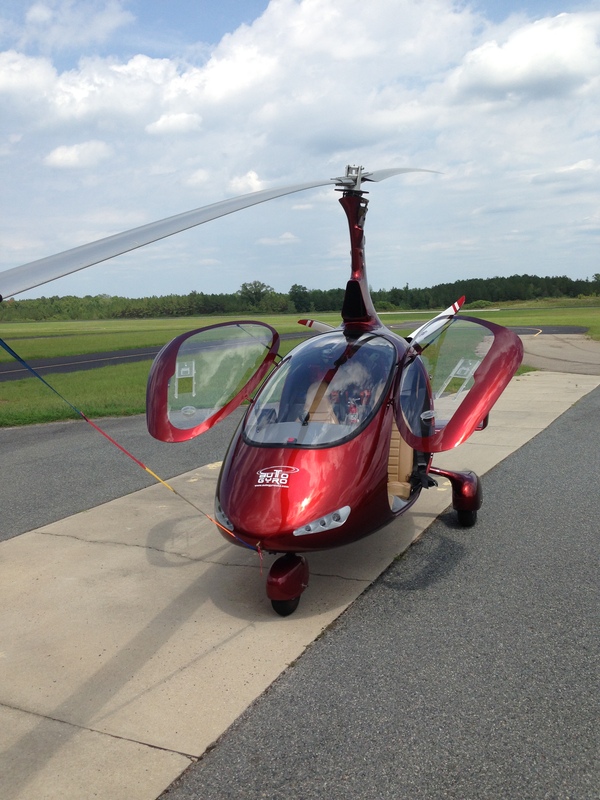 This gyroplane is a side-by-side seating arrangement like most general aviation airplanes. 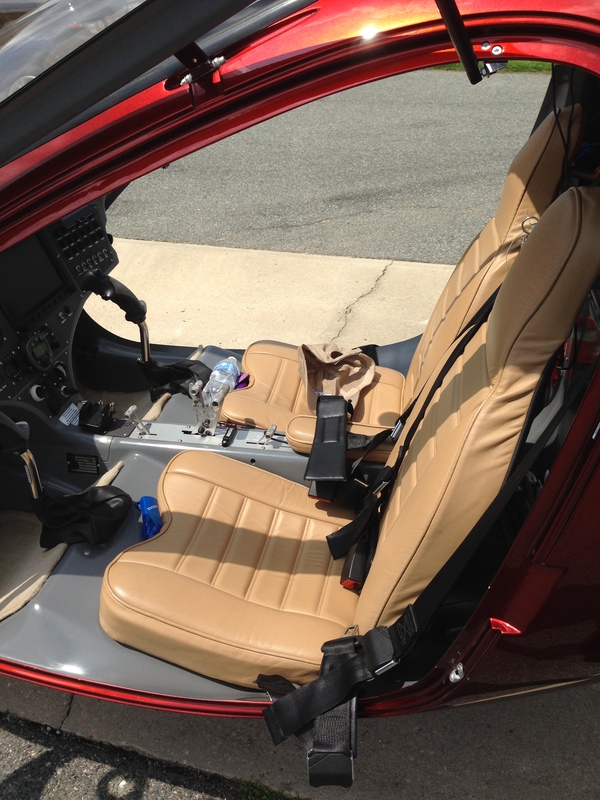 Although it has much more room in the cabin than typical Cessna and Piper airplanes. Here is a picture of us ready for departure. The rotor is “pre-rotated” to approximately 200 rpm’s and then the forward movement of the gyroplane by the propeller accelerates the free-spinning rotor to take-off speed. The visibility out of the Cavalon was excellent compared to most airplanes I have flown, with only the tailwheels I flew a few weeks ago coming close. 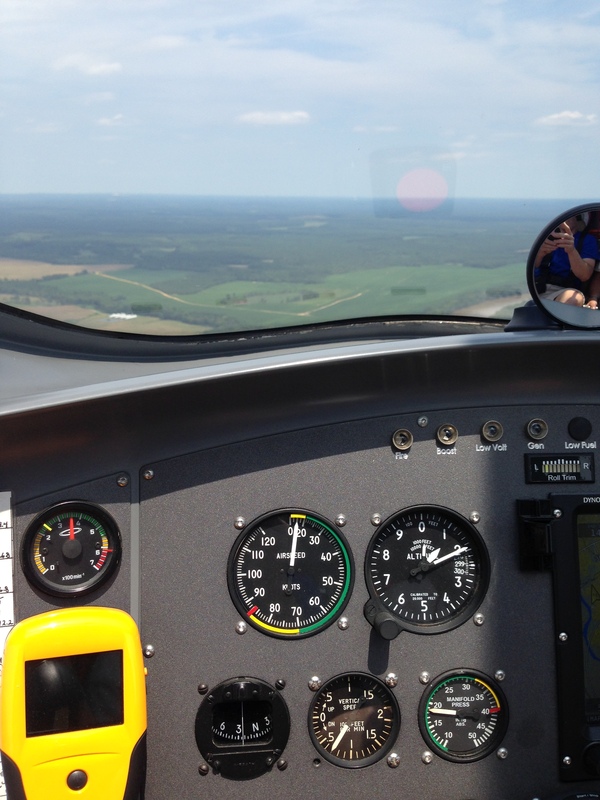 Yep, we are at 1,200 feet with 0 airspeed. While gyroplanes cannot “hover” like helicopters due to the autorotating rotor, gyroplanes, in essence, will not stall when the speed decays. The rotor continues to spin and the aircraft simply descends. 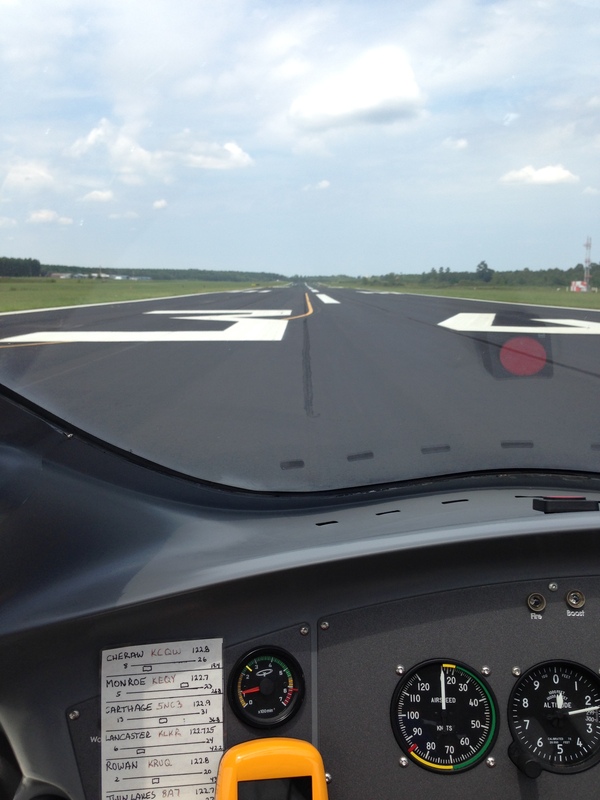 Therefore, engine failures are much less of an emergency than in a fixed wing aircraft. We were able to look for a small landing spot, pitch over to build up some airspeed in order to flare for a landing and, in an actual engine-out, make a normal landing. So what are the advantages to gyroplanes? First, they are able to take-off in very short distances, usually around 300 feet. They are able to land, though, in an area about the size of a tennis court. In many of the bush-type airplanes that we train in for the mission field, the landing is the most difficult and technical arena. Not so in a gyroplane. Second, in emergency situations the gyroplane is much easier to handle for landing. Finally, they maneuver more like helicopters rather than airplanes, which means they are very maneuverable and have even been called the sport-bikes of the sky. Negatives? They are small, only holding two people. But then again, so are the general aviation aircraft we are looking at. Second, as with small helicopters, forward speed maxes out around 90 knots. Finally, they do not hold much in the way of baggage. Once again, though, they do hold about the same amount of baggage as the tailwheel airplanes in which I just trained. The biggest negative with gyroplanes is that they have been the proverbial step-children of the FAA for the past few decades. In the rest of the world they are seen as very capable aircraft but not so much in the US. Hopefully this will change in the near future. What do you think about gyroplanes? Do you think Great Commission Aviation should look into this form of aircraft for training? I would hope that we may see gyroplanes incorporated into our version of micro-aviation training in the near future.